The Thirteenth which is a Netflix Original “thought-provoking documentary.” Scholars, activists and politicians analyze the criminalization of African Americans and the U.S. prison boom. Any time I watch a documentary, I have to watch it with the mindset that the person making it has an opinion and an agenda. Do the same with this, but watch it with an open mind. My mind was opened because of this film. The numbers are unbelievable and we have to be mindful of it, even if we don’t truly understand it all. For the past 8 weeks I have been swimming about 3-4 days a week. I am gearing up for a surf trip soon and the best way to train for surfing while being landlocked is to swim. I didn’t know it before I started, but swimming is going to become a regular workout for me. It’s refreshing before work, it has a very low injury ratio to workout time, and it’s an amazing full body workout. Here is the plan I have been doing in the mornings and if you are looking to switch up your work out routine and get a little outside your comfort zone (if you are not a swimmer) I would highly recommend getting in the pool! 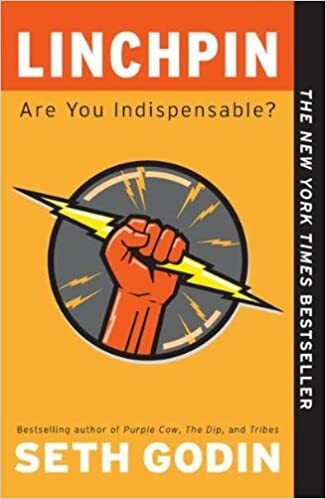 Linchpin has already beat my expectations and I’m only one quarter of the way through it. If you are going through the motions at work right now, grab this book! If you know someone that is struggling with finding fulfillment in what they do, and/or not sure where to go from here – this read has been uplifting to say the least. This book runs right in line with the book that I am working on now – Intrapreneuer: Making an impact from the inside out. I hope you all have a great week! Keep stealing success from anyone and everyone you can. Steal one thing at a time and implement. It is the process not the result that makes you successful.